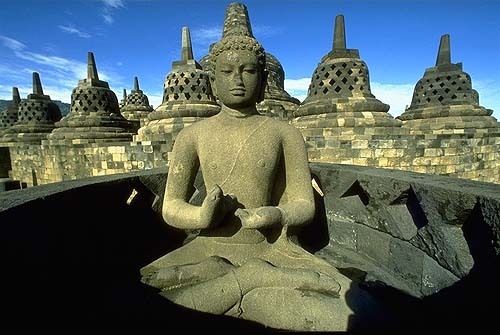 Borobudur was built around the year 800 AD or the 9th century. Borobudur was built by the adherents of Mahayana Buddhism during the reign of Dynasty dynasty. This temple was built at the height of the dynasty dynasty. 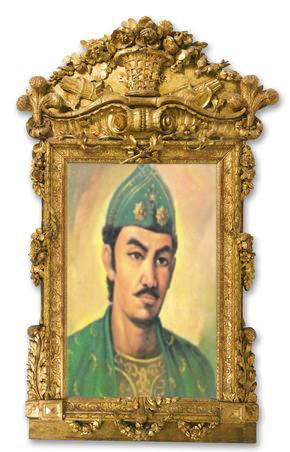 The founder of the Borobudur Temple, King Samaratungga originating from or dynasty dynasty dynasty. The possibility of this temple was built around 824 AD and was completed around the year 900 AD during the reign of Queen Pramudawardhani who is the daughter of Samaratungga. While the architects who contributed to build this temple according to the story of hereditary named Gunadharma. Borobudur own words based on the first written evidence that was written by Sir Thomas Stamford Raffles, Governor General of the United Kingdom in Java, which gives the name of this temple. There is no written evidence that older who gave name to this temple of Borobudur. Only one of the oldest document that shows the existence of this temple is Nagarakertagama book, written by mpu Prapanca in 1365. In the book is written that this temple was used as a place of Buddhist meditation Meaning of the name Borobudur is "monastery in the hills", which comes from the word "coal" (temple or monastery) and "beduhur" (hills or high places) in Sanskrit. Therefore, in accordance with the meaning of the name Borobudur, so this place long ago used as a place of Buddhist worship. Regarding the name of Borobudur itself many archaeologists who interpret it, among them Prof.. Dr. Poerbotjoroko Borobudur explains that the word comes from two words Bhoro and Budur. Bhoro derived from Sanskrit which means bihara or dormitory, while the word Budur refers to the name of the place. This opinion is corroborated by prof. Dr. WF. Stutterheim who argue that Borobudur means Bihara on top of a hill. Meanwhile, Prof. JG. De Casparis basing on Middle Reef inscription mentioning the year of this new building, which Sangkala Year: Sagara kstidhara taste, or years Caka 746 (824 AD), or in the House of dynasty which glorifies the god Indra. In the inscription didapatlah Bhumisambharabhudhara name which means a place of worship of the ancestors for the souls of their ancestors. This temple for centuries are no longer used. Then because of volcanic eruptions, most of the buildings covered with volcanic soil Borobudur. In addition, the building is also covered with various trees and shrubs for centuries. 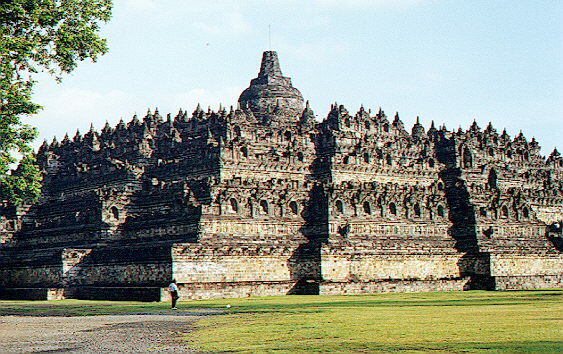 Then the building of this temple began forgotten in the time Islam arrived in Indonesia around the 15th century. About three hundred years ago, where this temple is still a forest by residents of the surrounding shrub called Redi Borobudur. For the first time, the name Borobudur is known from the work of MPU Prapanca Negarakertagama manuscript in 1365 AD, mentioned about the monastery in Budur. Then in the Babad Tanah Jawi script (1709-1710) there is news of Mas Fund, a rebel against King Pakubuwono I, who was caught in the Redi Borobudur and sentenced to death. Then in 1758, sparked the news about a prince from Yogyakarta, namely Prince Monconagoro, who are interested to see the statue of a knight trapped in a cage. Then in 1814, Thomas Stamford Raffles got the news of his subordinates on the hill covered with carved stones. Based on the news that Raffles sent Cornelius, an admirer of art and history, to clean up that hill. After cleaning for two months with the help of 200 people population, the more clear the building and restoration of the temple continued in 1825. In 1834, Resident Kedu clean the temple again, and in 1842 the temple stupa is reviewed for further research. In the lessons of history, stated that Borobudur Temple is made in the House of the Buddhist dynasty under the leadership of King Samarotthungga. While that created the temple, based on public speech named Gunadharma. Construction of the temple was completed in 847 AD According to the inscription Kulrak (784M) making the temple was assisted by a teacher from Ghandadwipa (Bengalore) named Kumaragacya a highly respected, and a prince from Kashmir named Visvawarman as an expert advisor in the teaching of Tantric Vajrayana Buddhists. Construction of this temple began during the Maha Raja Sri Sanggramadananjaya Dananjaya the title, followed by his son, Samarotthungga, and by his granddaughter, Dyah Ayu Pramodhawardhani. Before restoration, the Borobudur Temple in ruins as well as artifacts of the newly discovered temple today. When we visited Borobudur and enjoy the beauty of its surroundings from the summit of the temple, sometimes we do not ever think about who is credited with rebuilding the temple of Borobudur becomes a magnificent building and the wealth of the nation of Indonesia. Subsequent restoration, after by Cornelius at the Raffles and Resident Hatmann, conducted in 1907-1911 by Theodore van Erp who rebuilt the temple from the ruins of the order form because of the time eaten up the form now. Van Erp is actually an expert on building techniques Genie army with the rank of lieutenant, but then attracted to research and learn the ins and outs of the Borobudur Temple, began his philosophy up to the teachings they contain. For that he tried to do a comparative study for several years in India. He also went to Sri Lanka to see the composition of the Sanchi stupa peak in Kandy, until finally van Erp discovered form of Borobudur Temple. Meanwhile, on the basis of philosophy and religion invented by Stutterheim and NJ. Chrome, which is on the teachings of the Mahayana Buddhist Dharma-Yogacara and there is a tendency also mixed with a flow-Vajrayana Tantric. Therefore, the pemugar should have a bit of history of religion in Indonesia. Research on the composition of the temple and brought philosophy itself requires a substantial time, especially if linked with other temple buildings are still one family. Just as the Borobudur temple with Pawon and Mendut which are geographically located in one lane. The restoration is then performed in the year 1973-1983, the lapse of 70 years of restoration was undertaken van Erp. The restoration is intended no other in an effort to preserve the priceless cultural. This is the "treasure trove" that really can not be rewarded with money let alone be sold to pay debts. Awareness of the community to participate in securing the building of the temple is expected to include also from the tourists. Excavation, research, and plan the restoration of the temples or other historic objects which have recently found itself requires time and cost is not small. The restoration of buildings and archaeological culture is not as easy as the construction of modern buildings. Every form of cultural buildings has a special meaning and this can not be ignored in the restoration of ancient buildings. Therefore need support from various parties, both from within and from abroad. Efforts to rebuild a symbol of civilization has ever lost means more eye-opening our hearts about the history of human civilization Indonesia is rich with science and culture. Thus, we will become civilized human beings are able to appreciate his own culture as a form of identity and the identity of an independent nation. Finally, we must raise the passion to appreciate the objects of cultural heritage is not only a wealth of society and the nation, but also a wealth of knowledge that will continue to uncover the facts of that history. Enjoy the beauty and maintain its sustainability is one of the most significant concern. Surely the role of institutions relating to the protection of cultural heritage objects needs to be improved by providing understanding, understanding and dissemination of the importance of maintaining and preserving these objects. Protection law must be enforced consistently so that does not happen again lameness lameness-law that leaves a sense of injustice for the people, as was the case in 1983 Borobudur blasting . *** Remain a mystery, just added the temple of Borobudur is the largest Buddhist temple in the world with a height of 34.5 meters and a building area of 123 x 123 meters. Was set up on a hill located approximately 40 miles to the southwest of Yogyakarta, 7 miles south of Magelang, Central Java. 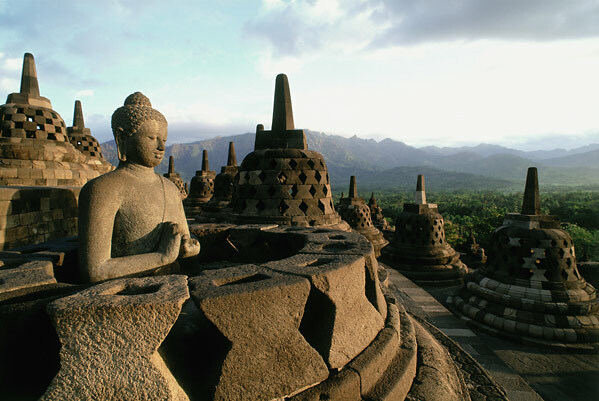 Borobudur was built by Sailendra dynasty between the years 750 and 842 AD. 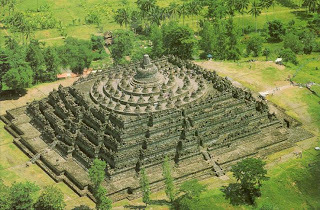 Buddhist Temple is probably abandoned about a century after construction because the center of the kingdom at that time moved to East Java. Sir Thomas Stanford Raffles in 1814 Borobudur found in damaged condition and ordered that the site be cleaned and studied thoroughly. Borobudur restoration project on a large scale and then starting from 1905 until 1910, led by Dr. Tb. van Erp. With the help of UNESCO, the second restoration to rescue Borobudur was carried out from August 1913 until 1983. However, until now Borobudur still keeps some mystery. A number of mysteries that for example, who designed the temple of Borobudur, how many people were hired to build the temple, where only the stone to build the temple? Philosophy Of what use to make these temples? 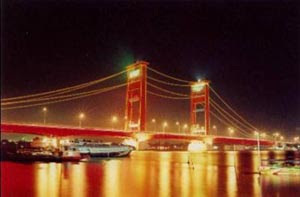 But certainly this temple is an important asset for Indonesia in the eyes of the international community. We should be proud of and always maintain its sustainability.